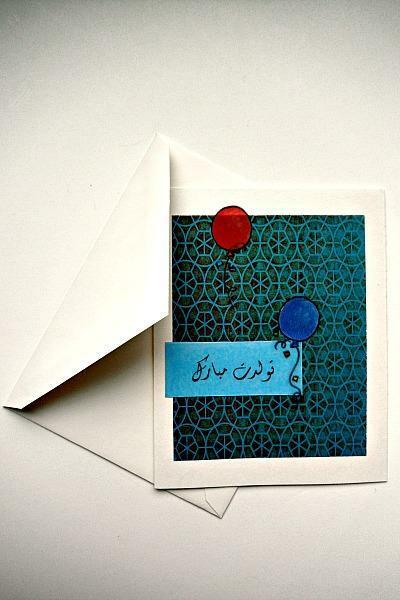 This Persian Happy Birthday greeting card has a beautiful mosaic geometric dark greenish/bluish background. 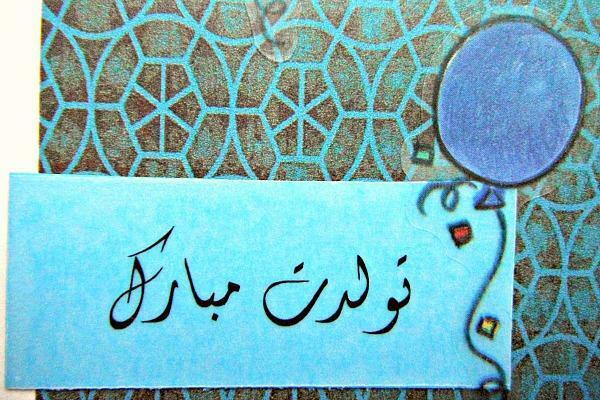 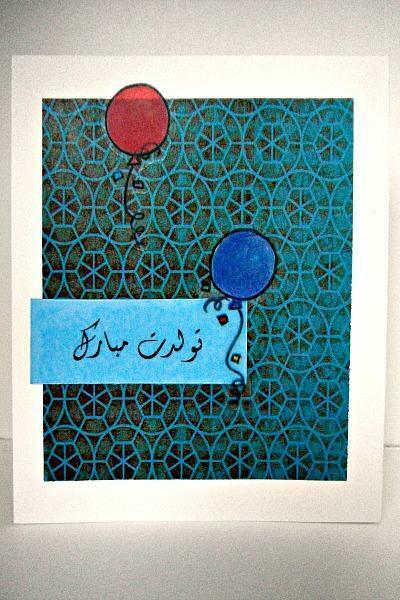 A red balloon is floating above the happy birthday saying, Tawallodet mobarak, which was printed on vellum and then added to blue cardstock. 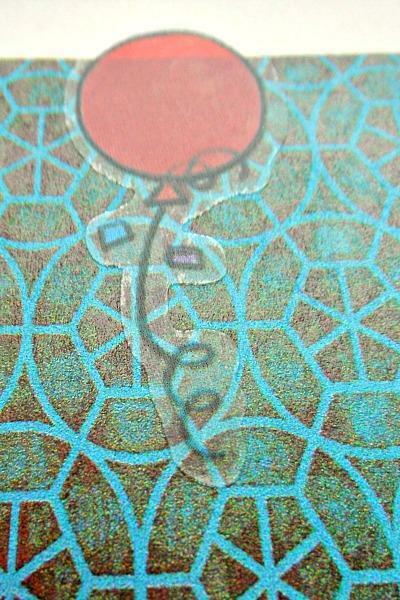 A blue balloon is floating over the saying. 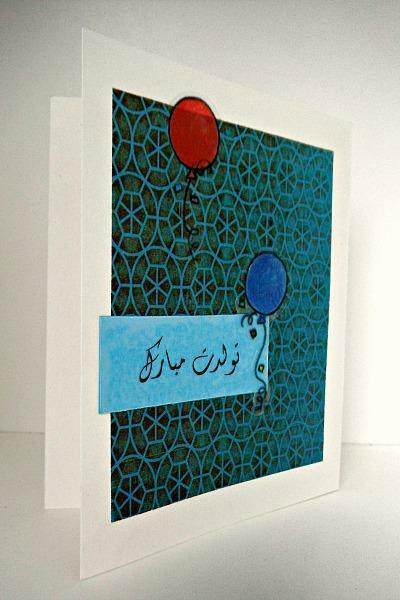 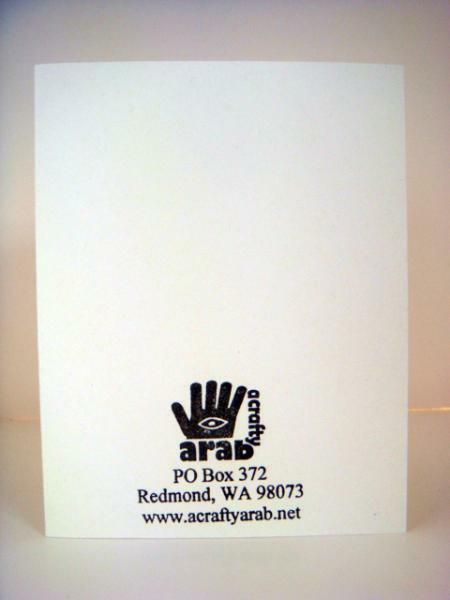 It’s a lovely way to wish that special someone a happy birthday with a Middle East twist.